The bargain basement server prices above are inclusive of cPanel license, Basic Server Management and 5TB Bandwidth. Managed dedicated servers with all the bells and whistles. We know what it takes to build, manage and support your server to meet your exact requirements. Existing sites? We'll migrate up to 100 web sites for you, free of charge. No hassle, no wasted time and no headaches. If your host is letting you down, we'd love to welcome you. WebHost Manager (WHM) provides a powerful admin control panel to allow you to manage your server. It automates and streamlines otherwise tedious server management tasks, and provides you with an easy way to manage all your web sites. Know what is going on with your server at any time of the day with server monitoring tools. View resource utilization, diagnose log file issues, configure automations and secure servers from third-party attacks. Whether you just want to switch out the logo, or brand like a pro and change colours, icons, headers and footers - you have complete control! Create a client control panel that fits your brand exactly! 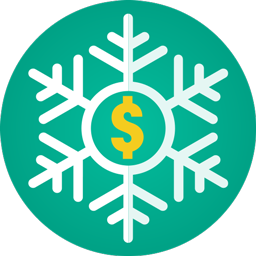 Create and manage your hosting packages - determine how much disk, bandwidth, email accounts and other features each package should be allocated. You can create your customer hosting accounts in a click - just specify the domain name, username and password, and select the package. Their hosting account will be up and running in seconds. 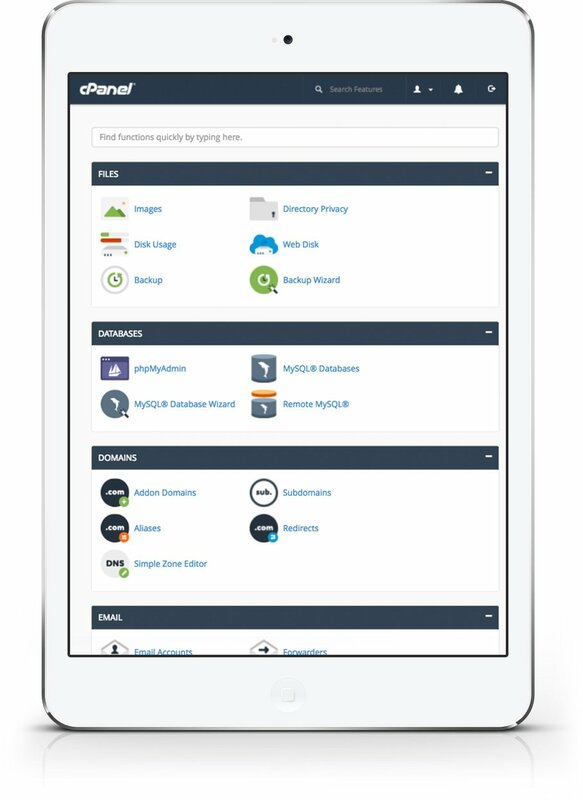 Overall control to manage all your customer DNS zones in a click. WHM's powerful DNS zone management tool will allow you to make absolutely any DNS adjustment you need. 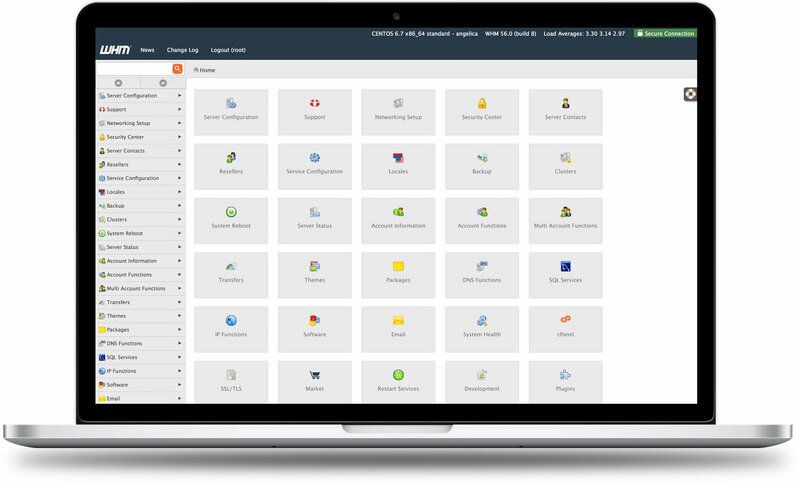 Conveniently log in and manage any of your client's hosting accounts by clicking the 'Login to cPanel' link - no need to remember any individual control panel login details. We pride ourselves on incredibly responsive support, 24x7. Chat to us via live chat, phone and ticket and we'll respond in minutes, not hours. In fact, if ever we don't respond to a support ticket within the hour, we'll credit you to say sorry. Why do we do this? As good incentive to make sure it never happens. These days it seems like prices only do one thing - go up. The cost of infrastructure is no different, but some hosting companies pass this on by building in annual price increases into server contracts. We don't think that's right - so unless you upgrade, we guarantee never to increase the price you pay for your server. Ever. Want total peace of mind? Our cPanel servers all come with basic management as standard, which includes core security updates, initial server configuration and basic support. Upgrading to our Fully Managed service level gives you total peace of mind, adding full monitoring, proactive issue resolution, unlimited system administration and much more. As standard on our managed cPanel servers, we use the CentOS operating system. CloudLinux is also available if preferable, for additional fees. Do you offer servers without cPanel? Yes. Most of our customers use cPanel, but we also offer servers without cPanel for individual requirements or more complex needs. Click here to learn more. I don't know which management level I need! All our cPanel servers come with basic management. Basic management takes care of the core essentials of managing the server, but we're not as hands on as with our fully managed service. To make the most of a Basic managed server, you may need to either be willing to learn a little about managing a Linux server, or you may need to pay for us to do some occasional work from time to time. We'd recommend looking over the management comparison table and reviewing the system administration charge sheet, accessible by clicking the button beneath the table. If you've never managed a Linux server before and don't have any inclination to, we'd recommend our Fully Managed service level. If you're looking for a fully unmanaged server without cPanel or management, or with a custom operating system, we can also supply these. Can I get root access and full management? Our fully managed servers come without root access because we can then control the entire management of the server and guarantee to provide unlimited system administration hours. If you have root access, it may be possible for you to make an error which results in irreparable damage that could take hours to resolve, or manage the server in a way that may cause frequent overloads or issues that wouldn't occur where we have full control. For this reason, where customers have root access, any advanced system administration has to be chargeable and cannot come all inclusive.